Every funeral has a program schedule to be followed. An order of service needs to be maintained while preparing the program schedule. 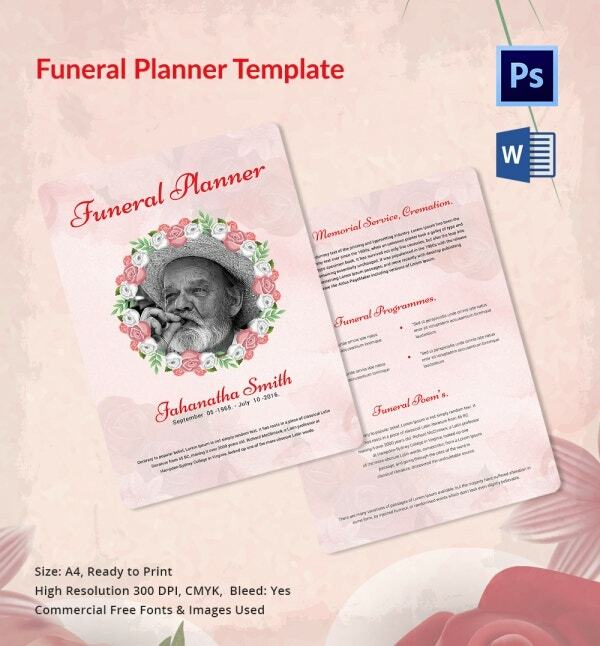 This template enables planning the order of funeral service. 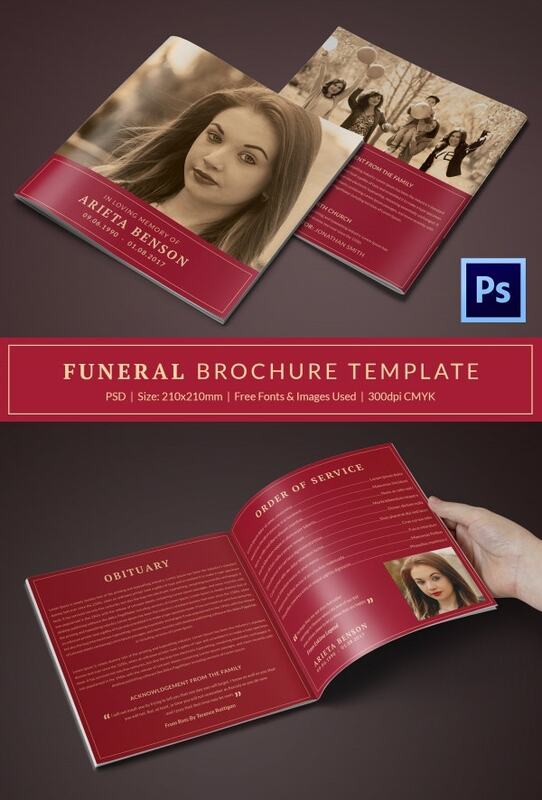 This Funeral Program Brochure plan is a premium brochure type template. It is A4 in size and enables customization by customers to suit their requirements. It is a bifold type brochure. This brochure comes in attractive blue and red colors. 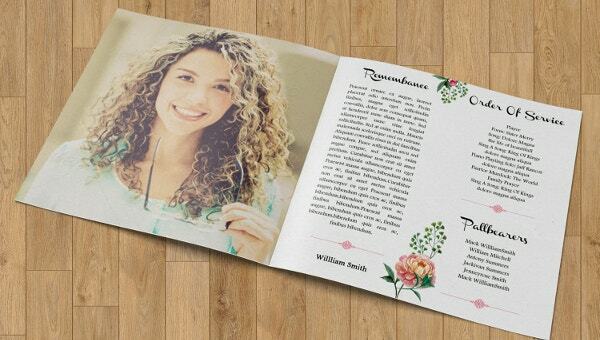 It is a bifold type brochure and makes it possible for customers to design one with their own words and photos. 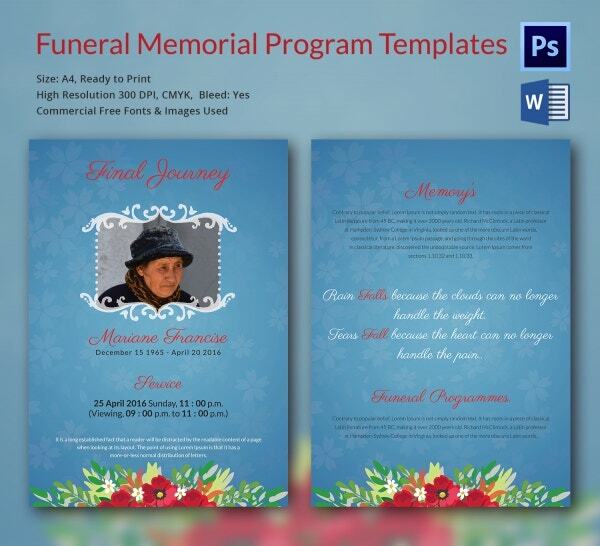 > Why Use Funeral Program Templates? 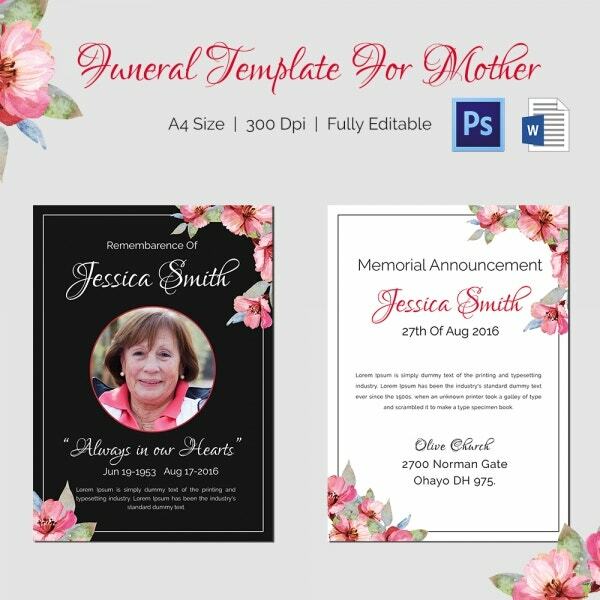 A Funeral Template must be used to announce pertinent information regarding the plans of a funeral service planned for a deceased person. 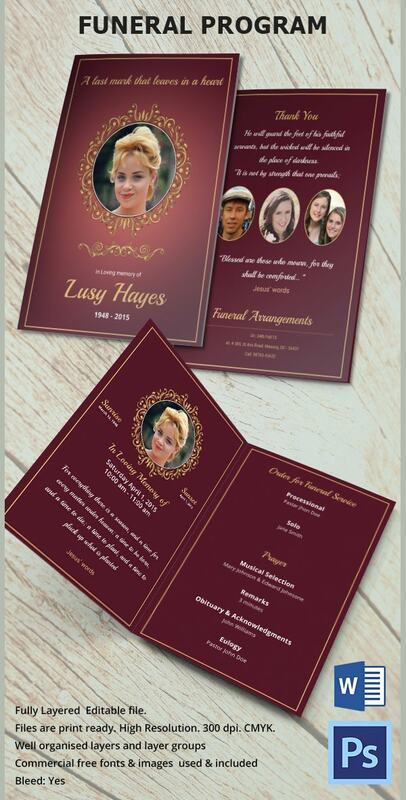 It is used to convey information regarding the order of service, date, time, and venue of the funeral services to all those who are supposed to be invited for the same. 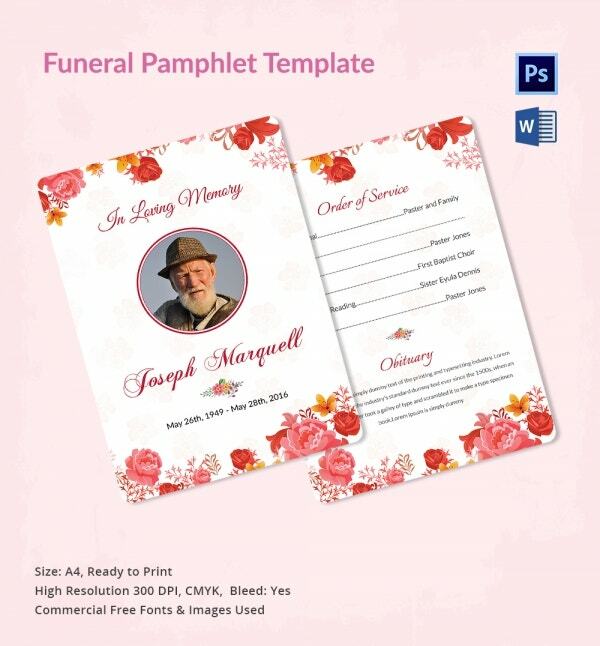 Funeral Program Templates must be sent to all the invitees to attend the funeral service. 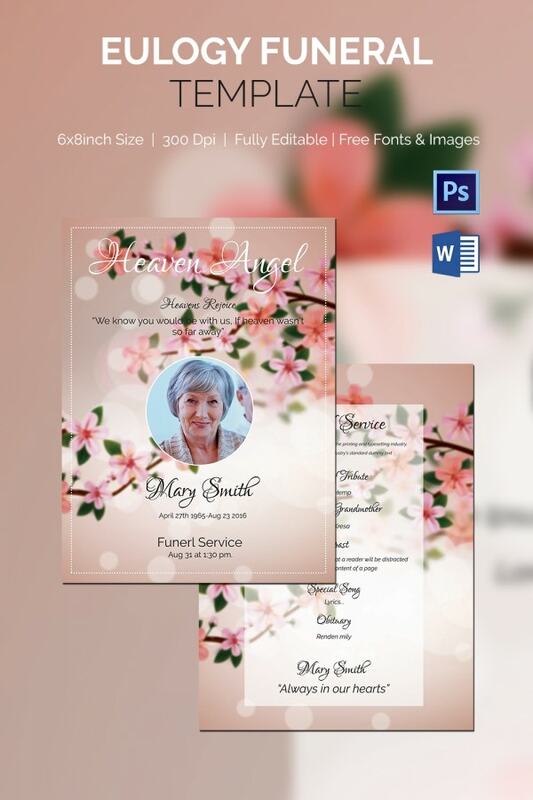 Using good customizable funeral templates provides scope to write as much information as possible about the proposed funeral program services. This brochure is basically in Word template. 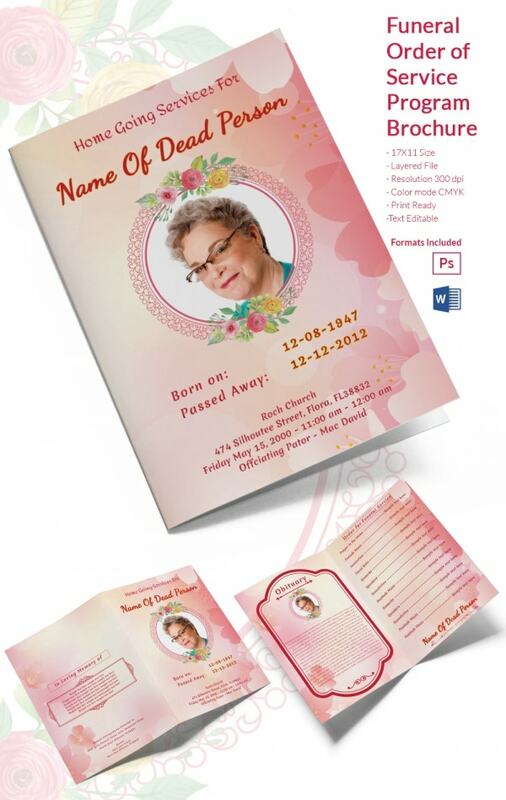 It helps the customer to customize the order of service. 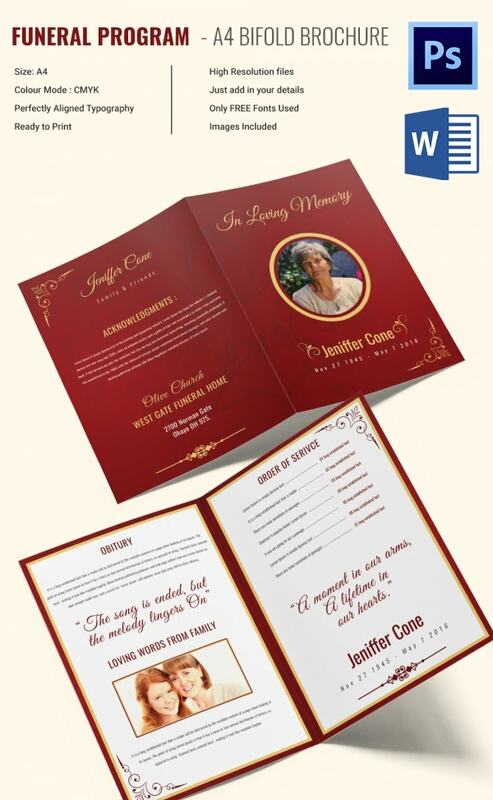 This brochure is exclusively used for funeral services order intimation. This Brochure is basically a bifold model. It is used exclusively for funeral services. 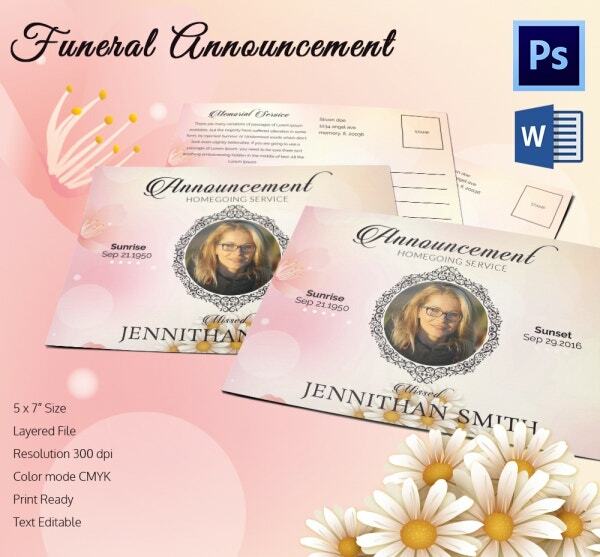 It carries information about the plans for the funeral program. 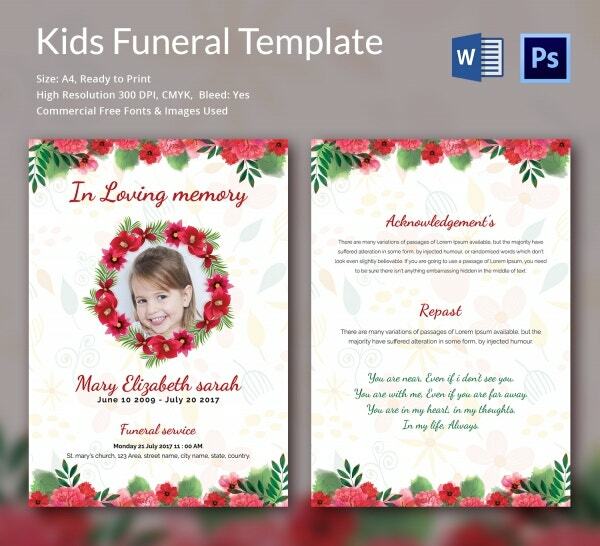 > Who Would Benefit from Funeral Program Templates? 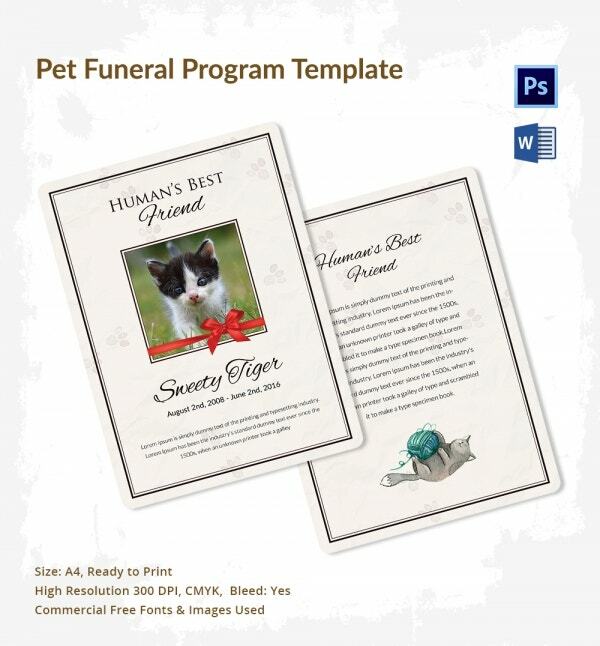 > What Benefits you will get from the Funeral Program Templates? 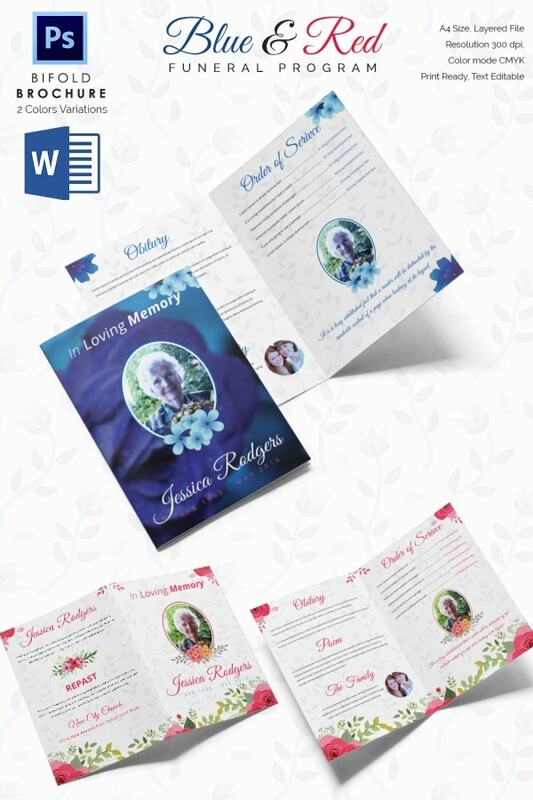 The benefits we derive from a Funeral Program Template are innumerable. It helps to inform people belonging to all areas namely relatives, acquaintances, near and dear ones, kith and kin, friends and colleagues of the deceased about the funeral services planned. It helps draw out the complete details of the program schedule on the day of the funeral including the day, date, time and venue. It also benefits all concerned by providing information about the order of service, so that the concerned people may come prepared for the same. 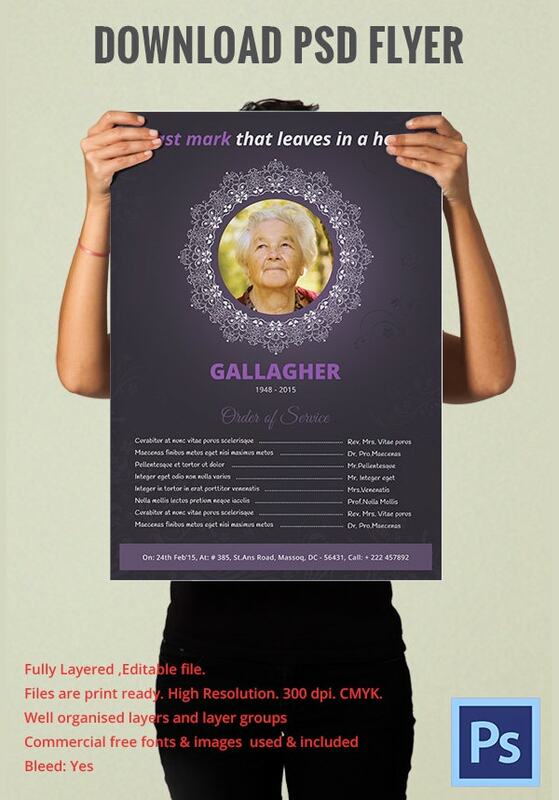 It helps honor the deceased by printing their photograph along with their information. 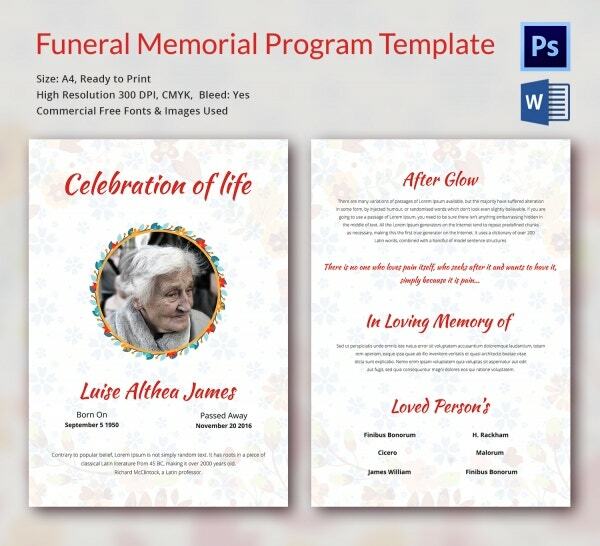 Funeral Program Templates are highly useful to plan the things to be done during the funeral service of a deceased person. 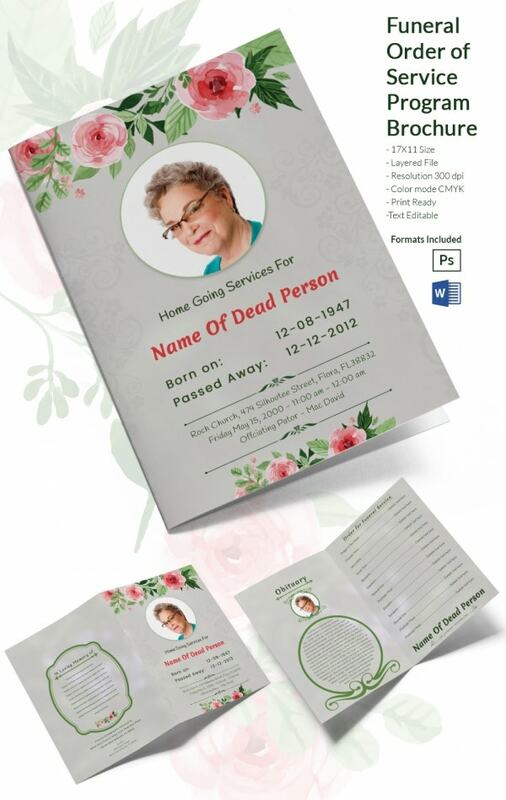 They help inform people who have played a crucial role in the life of the deceased. They make people concerned about the deceased visit him/her for one last time.